Which Messiah are You Looking for? Jesus made a lot claims during His life. Son of God. Forgiver of sins. Son of David. Lord of the Sabbath. The “I AM”. When Jesus asked what the Disciples thought of Him, Peter called Jesus the Messiah (Matthew 16:13-16). Messiah literally means “anointed one”. It is, in part, a reference to the anointing of a new king. It is a perfect match for the One destined to ascend the everlasting throne of David, to rule over Israel, every nation, and all of creation. When Jesus was received like a king to Jerusalem, everything the people hope for falls into the picture of Messiah. The title drew a very distinct picture in their minds. it should do the same for us. But are we looking for the right Messiah? 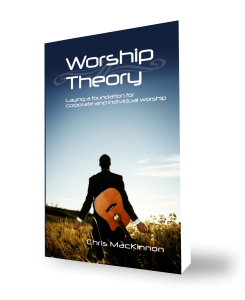 When I teach about Worship Theory, one of the points is the Theory of the Snapshot. It revolves around our personal image of God, our ideas about what He is like and how He relates with us. The point is this: “A proper view of God is required to worship Him properly” (p. 51). The same idea is at work when we apply the title of Messiah to Jesus. If we aren’t looking for the right Messiah, the one we hope for will never come, and we won’t be able to recognize the right one when He walks by. This is exactly what happened in Jerusalem between Palm Sunday and Good Friday. Looking for the wrong Messiah led to the death of the true Messiah. Two-thousand years removed, we are grateful for Jesus’ death and resurrection. Have we considered how many people who lived to experience those events missed out because of their opinions about Messiah? When the Jews welcomed Jesus into the city, with palm branches and praises, they were cheering for the Messiah they wanted Him to be, instead of the Messiah Jesus needed to be. The chosen people were ready for the King to setup the throne of righteousness in Jerusalem again. Throw on the bonus that He would strike the enemies of God and His people, and rule over all the nations with holy justice. Imagine the power of such a message to a people who lived in exile in their own land. They were surrounded by people whose very presence made the Jews’ lives “unclean”. Their rulers were not the godly line of David, but the pagan Roman emperor who thought himself a god. All signs pointed to Jesus as the One who would defeat Rome and every other enemy, making the Promised Land the land of Israel again. But the first enemy to defeat was man’s worst: sin. The first kingdom to fall was not to be Rome, but death and the grave. Jesus will setup His throne as King of kings and Lord of lords, but first He had to complete the work of the Suffering Servant (see Isaiah 52:13-53:12). Both roles of conquering king and suffering servant apply to the Messiah, though only one stuck in the minds of the Jews in Jesus’ time. They were tired of suffering, a role they knew, and still know, all too well. It was time for liberation, for freedom, and for justice. We can run into the same issue of looking for a Messiah who conquers, pours out righteous indignation, and delivers us from a world that is falling apart. Paul told us there is a crown reserved for all who long for Jesus’ return (2 Timothy 4:8). We can’t wait for this immeasurable mess to pass away, and instead live in everlasting peace. To long for a Messiah only in the future is to wait for an incomplete Messiah. We are no different than the Jews who would only accept Jesus if He came as a king, instead of as the Savior humanity needed. Though our victorious King promises we will rule and reign with Him, He also tells us to expect trouble in this life, and even persecutions. He even invites us to take up our own cross. Actually, it isn’t an invitation, but a command we must obey if we are to truly follow Him. Our Messiah has a tremendous future planned for us. But if we only look to the future, we miss out on the work of the Messiah in our lives today. We lose the peace that is beyond understanding, the embrace of the God of all comfort, the power of the Spirit speaking through us when we don’t know how to defend ourselves, and the grace we only receive as we endure suffering as Christ did. Don’t look for an incomplete Messiah. There is too much to miss if we don’t see the only One who can change our lives and this world forever. We must look for Jesus Christ, the Messiah, the Son of God, not just as we want Him to be, but as He truly is. When Jesus came to the region of Caesarea Philippi, he asked his disciples, “Who do people say the Son of Man is?” They replied, “Some say John the Baptist; others say Elijah; and still others, Jeremiah or one of the prophets.” “But what about you?” he asked. “Who do you say I am?” Simon Peter answered, “You are the Messiah, the Son of the living God.” (Matthew 16:13-16).